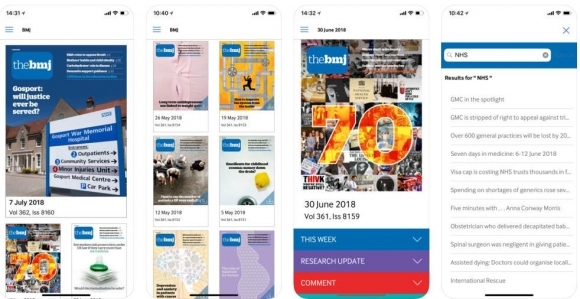 The BMJ, formerly known as the British Medical Journal, is now available in app form for both the iPhone and iPad. Members of the BMA, or British Medical Association, can access the content for free; other users must subscribe to view all content. Full use of the app includes offline viewing, educational articles and embedded videos, and continuing education credit opportunities. This app is appropriate for non-clinical healthcare associates such as policy-makers, as it also includes relevant news articles and featured columnists. Users are able to use keyword search and download past issues. The weekly volumes are categorized by top news, research, comment forums, education, and career opportunities. This Compendium of Guidelines from the World Health Organization (WHO) is for the prevention and treatment of tuberculosis (TB). The first pillar of the strategy to end TB is patient-centered prevention and care of all tuberculosis patients, including children. Included in the app are TB-specific tactics for all stakeholders, including local communities, organizations, and governments. Using the WHO-approved standards of care, this application allows any user to guide a patient through tuberculosis prevention and explore care options. It can be successfully utilized by national tuberculosis programs, public health professionals, and health care providers in private and volunteer care facilities. The app is categorized by patient care approaches, ranging from early detection to pediatric cases. Sections on co-morbidities such as HIV and supportive approaches are also included. All research articles and educational materials are annotated as well.